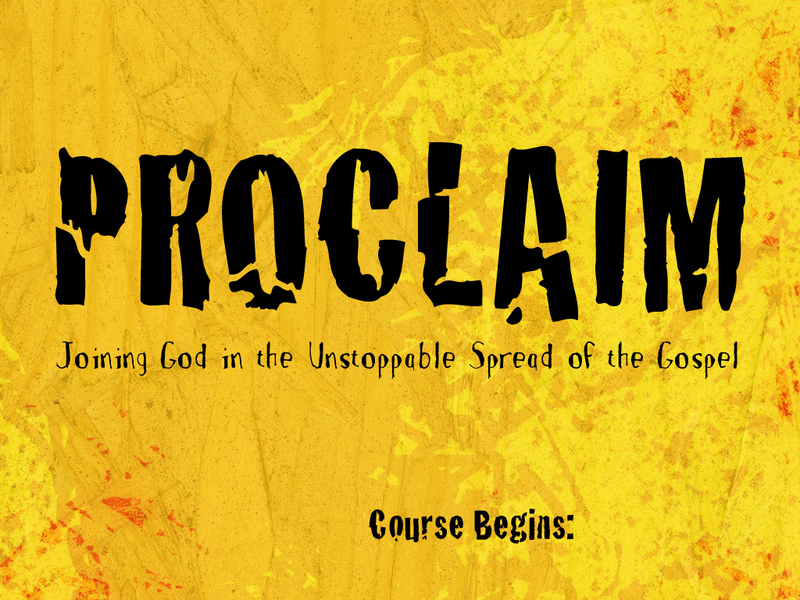 PROCLAIM: What comes after Proclaim? Most churches are desirous to build a "culture" of evangelism. Unfortunately any stand-alone program, Proclaim included, cannot change an entire church by simply going through the content. It provides the knowledge and tools to build from. But knowledge is never enough. We must become "doers" not simply "hearers" of the word. 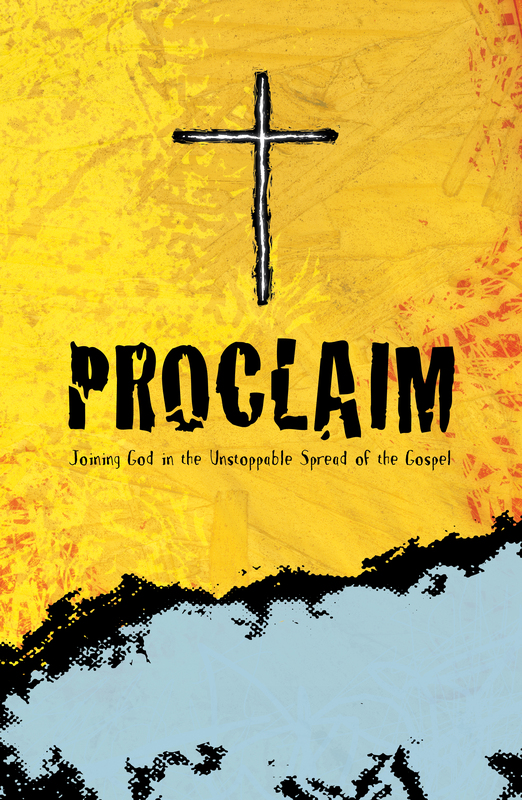 That's why the last session in Proclaim includes what we call a "Gospel Outreach" or "GO." It's a form of initiative evangelism that encourages your church members to step out in faith and get into real conversations with people about Christ. We have found that this form of reality-exposure is critical to seeing people grow in a burden for evangelism. Simply put, we more easily act our way in thinking differently, rather than vice-versa. God uses real-life experience to brand a passion for evangelism onto our hearts. Creating structures of "reality-exposure" in the church that allow every person (especially leaders) to experience real evangelism. Many churches create evangelism "teams" or "ministries" that ultimately quarantine the evangelistic people in the church together. This often creates an "us" and "them" feel in the church when it comes to evangelism. "They" evangelize not me. What we would encourage your church to do is to find ways to take those passionate evangelists and use them to mentor and train the rest of the church in evangelism. For example we have over 10 pastors on staff at our church. Once a week our pastor of evangelism (our evangelist) takes another one of the pastors out to share the gospel during their lunch break (listen to "Followers Fish" to hear more about this). This exposes the entire pastoral team to real-life evangelism. In turn, this trickles down into future sermon illustrations, discipling relationships, and ministry burdens. The pastor's example is THE most important aspect of creating a culture where evangelism is promoted and normalized. We also have assigned one evangelism coordinator in every small group at our church. These folks take their small group out at least once a year to do evangelism (GO) together. These structures are ongoing. So in our context each pastor minimally goes out evangelizing 2-4 times a year and every member goes out minimally 1 time a year. As people go out, it continually creates a buzz around the church related to evangelism. Stories are being shared. People are getting fired up about it. They are growing in their heart for the lost. We then encourage people to take those burdens into their everyday relationships (lifestyle evangelism) rather than simply doing more and more Gospel Outreaches. We have found that "initiative" evangelism is one of the most effective ways to build a culture of evangelism, but "lifestyle" evangelism will become the inevitable result of this new culture. The goal of initiative evangelism is to move us into lifestyle evangelism. For more insight on this, read the download "Creating a Culture of Evangelism" PDF on the right. Also helpful is this chapter in Mark McCloskey's book: A Strategy for Every Member Moblization. This should get you started in thinking how to implement structures in your own context that expose people to evangelism. Make sure the structures aren't overwhelming in their frequency or else drop-off and burn-out will often occur. The goal is to create something sustainable and long-term in focus. It may take a few years before evangelism becomes part of the DNA of your church. That's fine. Every new member gets Proclaim too. If you do not continue to offer the Proclaim Course, new people will join your church and never learn the teaching and values you have work so hard to instill into the church. Therefore we encourage churches to find a way to work Proclaim into their normal discipleship process. As people join the church, have them take the class shortly there-after. 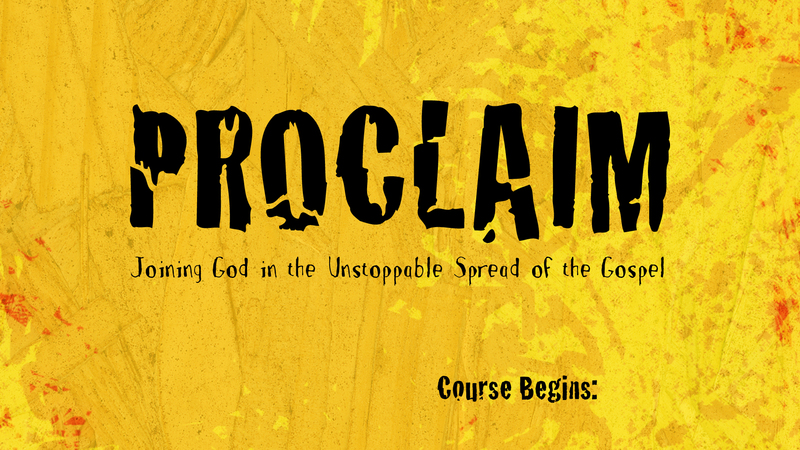 Maybe make Proclaim a pre-requisite for taking some other desired class. At our church we offer a 101 discipleship program open to everyone called "GROW" that we've worked Proclaim into. For us, GROW is a prerequisite for any future discipleship or leadership deployment. Study your church's structures and model, and find a way to put Proclaim into the normal assimilation process of new folks.